Felt like fish for dinner today, so I went to Woolworths to get us a large piece of hake. 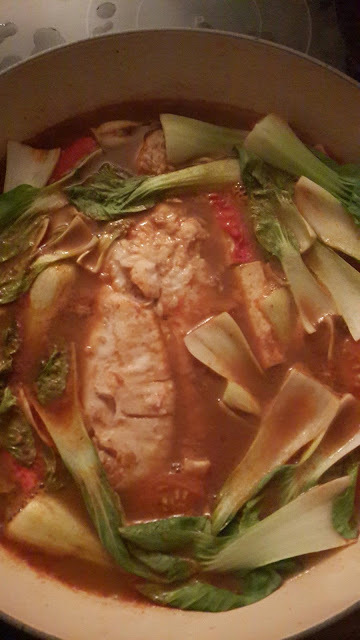 My dinner preparation is usually quick, so I opt to use one of my precious Mak Nyonya prepacked sauce. Simple dish, served with jasmine rice.